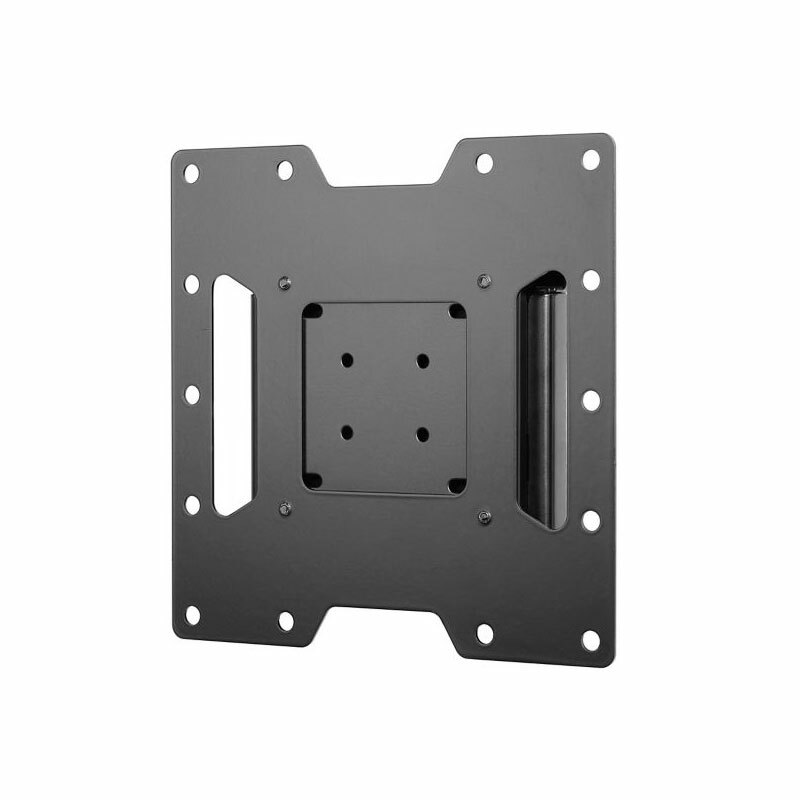 An ultra-slim wall plate, holding your screen less than 1" from the wall for minimal mount visibility. 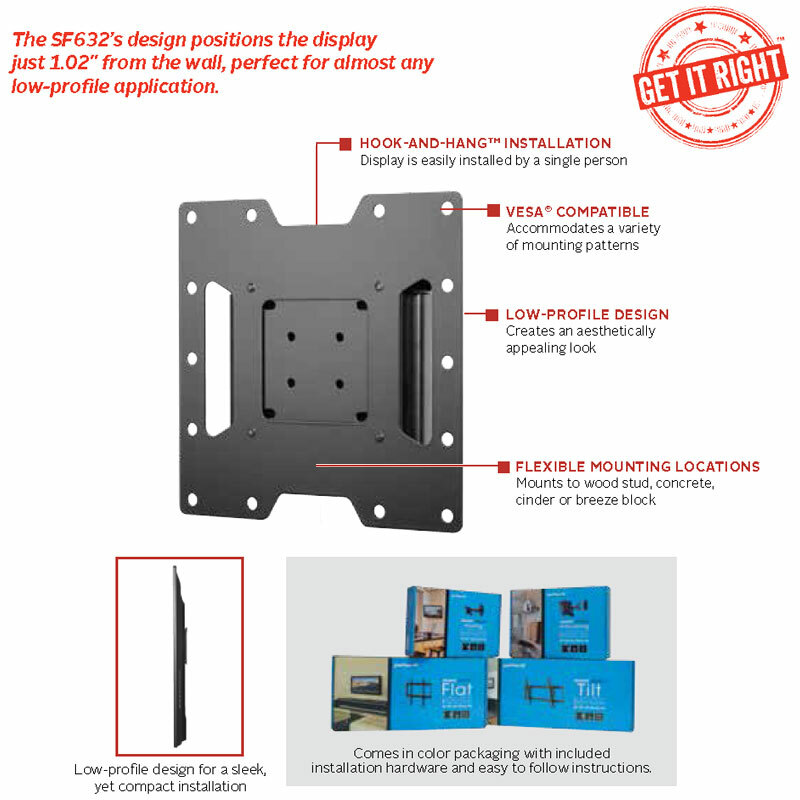 75, 100 and 200x100 and 200x200mm VESA compliance. Scratch-resistant, fused epoxy finish, available in black. All necessary hardware for single wood stud and concrete installations. 20-40" flat screens up to 115 lbs with mounting patterns up to 200x200 VESA. 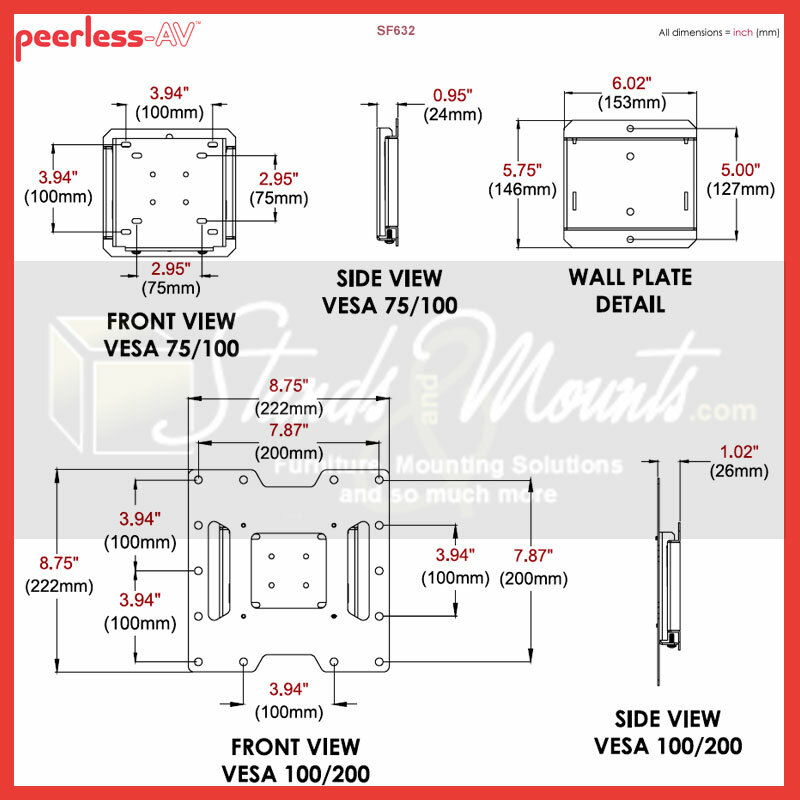 Use Peerless's Mount Finder tool to select an appropriate and compatible mount for your flat screen TV. Sound confusing? Call our Sales Team for help!